These books will make you rich. Maybe not tomorrow, but you will get rich over time and have a richer relationship with money. If you just read a few of the books listed below your future life earnings will likely be hundreds of thousands, if not millions of more dollars higher than if you do. The recommendations in these books are that good. Spend 2-4 hours reading per book, or 5-8 listening to one and the ROI of that time will compound exponentially. Literally, trillions of dollars have been made because of the recommendations in these books. There are millions of bestsellers written over the past 70 years. Reading just one or all of them is an exceptionally good use of your time. I’m super busy I try to read or listen to 4-5 new money books every month. I try to mix it up – reading both new and classic books on saving, wealth building, investing, and real estate investing. I can cruise through most books in an hour or two – hitting the intro, reading the first 2 chapters, and then picking the other chapters that I find more relevant to me. When I travel and walk the dog I listen to Audible – so I keep learning moving around. Audiobooks are actually incredible and you even learn unconsciously when you aren’t paying close attention. Audiobooks make you smarter. About 20% of the time I read the whole book and about 2% of the time I can’t put the book down. Over the past 5 years I’ve read or listened to over 250 books on money and here are my all-time top 7 books on saving, wealth building, investing, and real estate investing. All of them changed my life. This book is legit – not just a book with a catchy title. 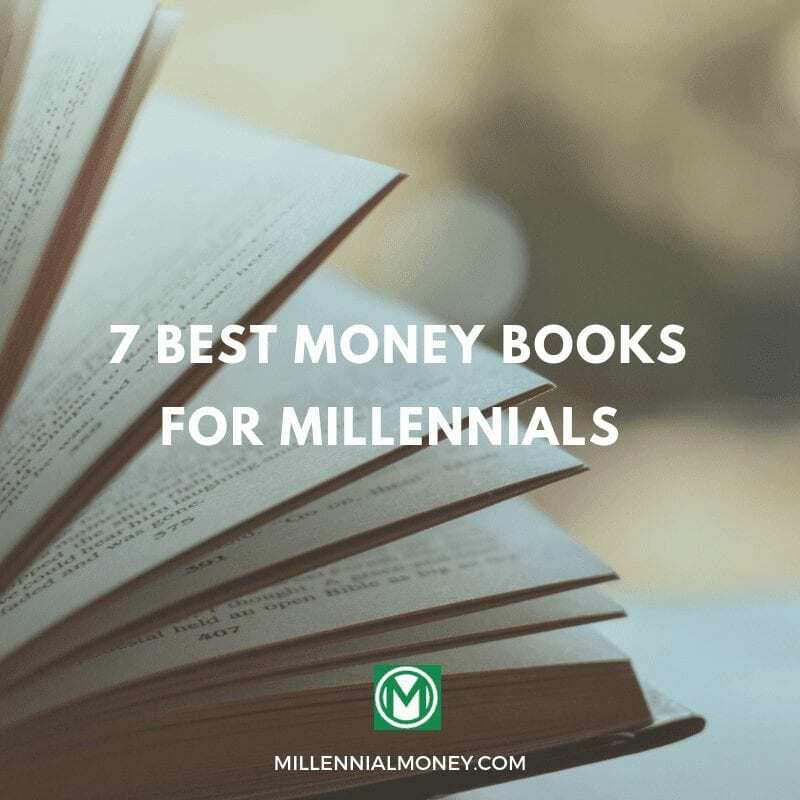 If you read just one book on this list read Your Money or Your Life – especially if you have problems saving money. Most of your savings problems have to do with your relationship to money and can be easily fixed. This book in 9 simple steps shares how you can fix them. It was written by personal finance pioneers Joe Dominguez and Vicki Robin and has been updated multiple times over the years. Some of the highlights include the opening discussion on how we all are placing a value on our life energy (time) for money. This book will help you re-examine your job, your priorities, and how you think about money. It will also help you establish the precise habits that are essential to building wealth. I first read this book when I was 12 years old. Seriously. It was on my parent’s bookshelf and when I first started dreaming about becoming a millionaire millennial. You could also say it started my fascination with money and personal finance. I was blown away to learn that most millionaires are the people that you don’t expect – they are more likely to live in modest houses and drive old cars. The reason that they are millionaires is that they saved, invested, and live below their means. This book analyzes habits of millionaires so you can learn how to build them too. This book taught me a lot and I recently re-read it again almost 20 years later and it was even better than I remembered. It has a lot of practical tips that you can start using immediately and will impact the rest of your life. Everyone should read this book – especially anyone in their 20’s or 30’s. This is the only book I have ever completed and then immediately started from the beginning and read it again. It’s that good. I needed to read it twice because it is packed with so much great advice and I felt like I missed half of it reading the first time. 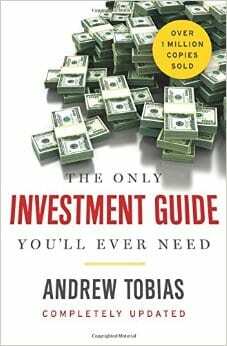 Author Andrew Tobias set out to write the only investment guide you’ll ever need and he did it. I have since bought copies and given them to tons of people who ask me “how can I make smarter money decisions”. Although it was originally written 30 years it gets updated every 3 or 4 years to include up to date information – new website, tools, recommendations etc. It teaches you about everything you need to know about investing and making smart money decisions – saving, investing, insurance, taxes, how to save money shopping, and tons of other topics. The advice is practical and all of author Andrew Tobias’ ideas are valuable. He’s also super funny which make the book easy to read – not like stupid funny, I literally laughed out loud more than few times. Most investing books are boring – this one isn’t and it’s full of tons of data based advice. 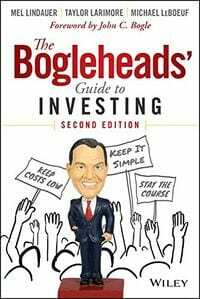 If you read one book on investing read The Bogleheads’ Guide to investing. This is especially true of millennials – since we are young enough to truly harvest the gains and power of compound interest. The Bogleheads are a large group who follow the investment advice of Vanguard founder Jack Bogle – the pioneer of index fund investing. The foundation of the Boglehead strategy is instead of buying individual stocks – buy a small piece of every stock in the stock market. That way you make money when the stock market goes up over time – and it almost always goes up over any 1o year period. Long term it is nearly impossible for any individual stock picker to consistently beat the market so investing in the entire stock market allows your money to grow as the market grows. I personally put quite a bit of my long-term investment capital into index funds. This book explains the power of index funds and makes a compelling case for an investing strategy that is both practical and will make you money over time. This book is a monster (649 pages), but if you want to invest in individual stocks then you need to read The Intelligent Investor. It is widely regarded as the best book on stock investing ever written and is the book that most influenced Warren Buffet and generations of successful value based stock investors. It’s also an easy to read book that pretty much teaches you all of the fundamentals of stock investing. 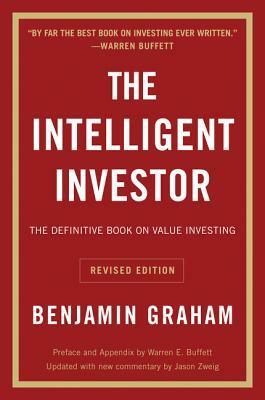 The real highlights how author Benjamin Graham shares his simple framework for evaluating the value of any stock and help you decide whether you should buy it. The idea is pretty simple but profound – when you are investing in a stock you are actually investing in a small piece of a business and you should plan to invest in the business for a long time. In order to maximize your chance of earning money, you need to try and understand the core elements of a business – what they sell, who they compete with and what they have that gives them a competitive advantage. You also need to analyze their P/E (price to earnings ratio) and look for good values – low P/E ratios, strong fundamentals, and strong future profit opportunities. 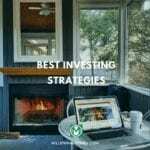 Finally, the goal of stock investing is to never lose money and following Benjamin Graham’s advice will decrease the chance that you will lose money. Originally written in the 1940’s and updated regularly, The Intelligent Investor has made me a better and much more profitable individual investor. Buying my condo four years ago is the best financial decision I have made so far in my short investing life. It has increased over 70% in value over that time period and is the biggest driver of the net-worth growth. I’m hooked. I believe there is a lot of money to be made in real estate if you buy good deals and this book teaches you how to find them. Written by one of the most successful realtors ever (Keller Williams founder Gary Keller) it’s an easy read with a ton of great tips for evaluating and buying properties. This is by far the best book I have ever read on real estate investing. If you are planning to buy a house, condo, or investment property in the near future then you need to read this book. It is specifically written for new real estate investors and will help you learn the foundations for building and growing a profitable real estate portfolio. 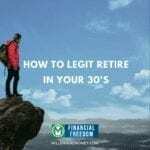 I personally liked how the author profiles a wide variety of successful real estate investors (from 20 something to 50-year-old single moms) who all started small and built massive wealth from their real estate portfolios. 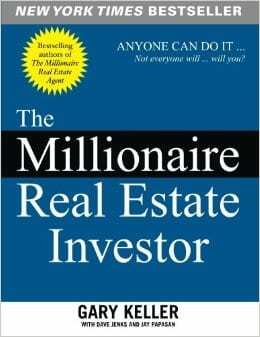 The Millionaire Real Estate Investor is a practical, useful, and inspirational book. It teaches you how to make big real estate money. If you want to be an entrepreneur read this book! Tim Ferriss the author of the 4 Hour Workweek has singlehandedly launched the live anywhere digital nomad lifestyle. He’s the guru and this is the book that started it all. This is a must for any Millennial – it’s written for us and will help you live a freer lifestyle. He covers many topics but at the core this is the guide for becoming a 21st century digital entrepreneur where you make in the automated cloud. Tim lays out how he built a more efficient lifestyle so he could run a high income generating drop ship automated business. He made millions of dollars and then wrote this book that made him millions more. Tim Ferris is a generational pioneer and you should listen to him. This is a great choice for an audiobook – it’s got a lot of great energy. Learn how to build an online business from one of the field’s masters. What would you do tomorrow if you didn’t have to work for money? You don’t have to have million of dollars in the bank to experience more freedom and have more time in your life for the things you love. How much money do you need? It’s likely a lot less than you think. Money is infinite, but time is not. Become financially independent as fast as possible. Yes, this my book. 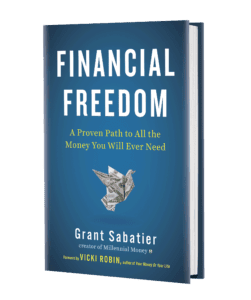 After reading over 400 books on money I wrote the Financial Freedom book, because there is only so much you can put in a blog post. This is everything I learned and used to go from $2.26 in my bank account to a millionaire in 5 years. It’s an equal mixture of personal finance, investing, entrepreneurship, and life strategies. 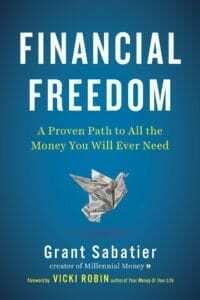 While the book is about how to reach financial independence as quickly as possible, it’s also about how to make more money in less time, and a lot more than that. I put my everything into this book and I’m confident you will get value from it. I'LL BE GIVING AWAY AT LEAST 500 FREE BOOKS TO THIS LIST! What’s the best money book you’ve read? The Millionaire Next Door is one of my favorites. It applied 100 years ago, applies today and will apply 100 years from now. 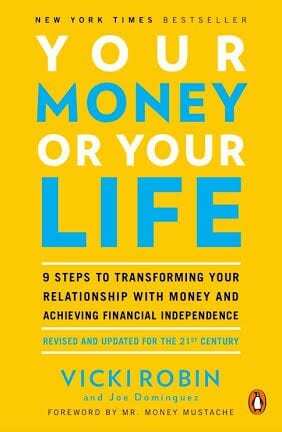 A must read for anyone who enjoys having money. Thanks for sharing. Thanks Brian. I also really liked The Millionaire Mind – Thomas Stanley’s other book. I liked Snowball as well and learned a lot about Buffett reading it. You should also check out ‘Titan: The Life of John D. Rockefeller,’ by Ron Chernow if you haven’t. I learned a ton about investing reading it. Both great books! Thanks Christopher. I love The Millionaire Real Estate Investor – a comprehensive book for people interested in real estate investing. It has worksheets and different exercises for you to gather your thoughts. I also read “How to Think About Money”, that was an interesting one about the “personal” side of personal finance. Thanks for sharing Grant, have a good one! ‘EMyth’ by Michael Gerber is great for anyone wanting to start a business. Richard Kiyosaki’s ‘Cash Flow Quadrant’ is absolutely helpful if you want to understand what passive income is and why we all need to be making it! Thanks for sharing Mo. I’ve read E-Myth and thought it was great. I recommend The Millionaire Fastlane by MJ Demarco for everyone. Its the best book ever! Thanks Danny. I’ve never read it, but will definitely check it out. Thanks for the book recommendations. These are a solid foundation. 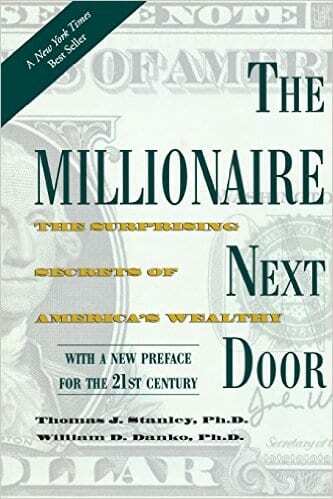 I have to say I was a little put off at first by The Millionaire Nextdoor because this book relies on very old-school gender norms (the man earns the money, the woman does the shopping). Once I was able to listen beyond his very out-of-date perceptions of relationships and who earns the money in families and gender dynamics, I found the strategies and messages (BE FRUGAL!!!) very helpful. 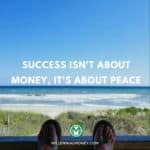 This is awesome, I finished an audiobook yesterday and started listening to ‘Your Money or Your Life’ because of this post. Thanks for sharing! Joe. The Power of Habit is so good! I love finding new great books to read, I have 3 of these and my favourite is the 4 hour week. Going to get the others on audio if available. Cool. 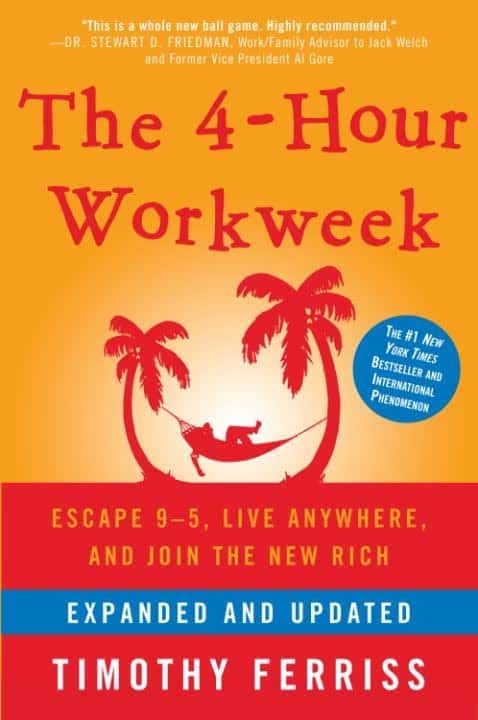 Yeah 4 Hr Work Week and Think And Grow Rich are both awesome.